A Russian court for the first time convicted a Jehovah’s Witness, Danish national Dennis Christensen, on extremism charges, BBC Russia reported on Wedneday. Christensen, 46, was detained by armed security forces in the midst of a Bible reading in Oryol almost 400 kilometers south of Moscow. His detention in May 2017 came a month after Russia’s Supreme Court declared the Jehovah’s Witnesses an extremist group. The Jehovah’s Witnesses doctrine, placing God above country, has earned the Christian denomination the distrust of governments around the world, including the United States, Nazi Germany and the Soviet Union. A district court in Oryol found Christiansen guilty of extremism and sentenced him to 6 years behind bars, BBC Russia reported on Wednesday. State prosecutors had asked for a prison sentence of 6.5 years under charges that carry up to 10 years of imprisonment. 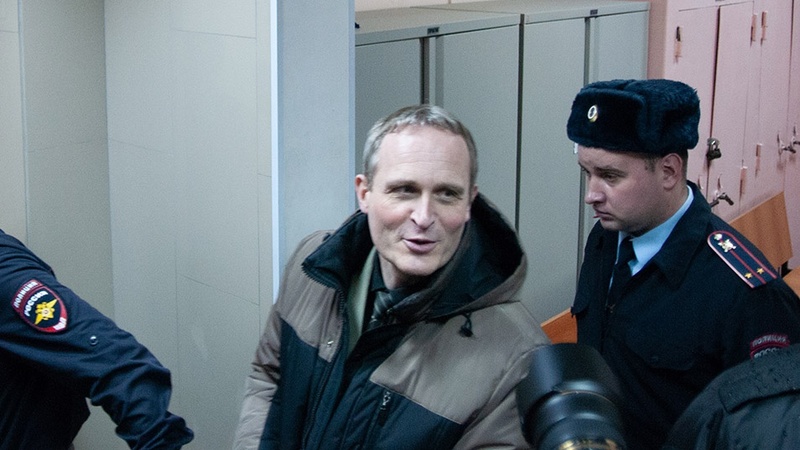 “We deeply regret the conviction of Dennis Christensen—an innocent man who did not commit any real crime,” Yaroslav Sivulsky, a representative of the European Association of Jehovah’s Witnesses, wrote in an emailed statement to The Moscow Times. “It is sad that reading the bible, preaching, and living a moral way of life is again a criminal offense in Russia,” he added. “If this verdict stands, our concern grows for the more than 100 other Jehovah’s Witnesses who are likewise facing criminal charges for their faith,” Jarrod Lopes, a spokesman for Jehovah’s Witnesses at their world headquarters in New York, told The Moscow Times by email. Lopes earlier said that hundreds of Jehovah’s Witnesses may have fled Russia since the court ruling that banned the group. He estimated that 175,000 adherents reside in Russia.